Princess Piki, the daughter of King Korokī, was chosen to become the first Māori Queen during her father’s funeral, in accordance with Kīngitanga protocol. 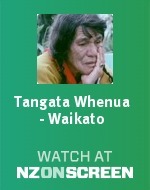 She assumed her mother’s name, Te Atairangikaahu. 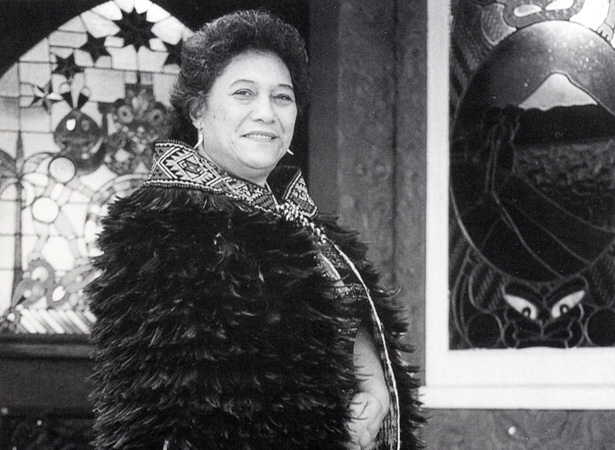 She was the sixth Māori monarch and is to date the longest-serving. She died in August 2006, shortly after celebrating her 40th jubilee as Queen. The first Māori King, Pōtatau Te Wherowhero, was appointed in 1858, when tribes from all over the country discussed the notion of appointing a monarch. Rapid European population growth was putting pressure on Māori to sell land, and there was a sense that Māori were losing control of their own affairs. In the Waikato War of the 1860s the government attempted to destroy the King movement, which it saw as a threat to the authority of the British Crown. The Kīngitanga survived the wars of the 19th century and remains an important and enduring expression of Māori unity. Its place in New Zealand society was demonstrated by the widespread outpouring of grief when Te Arikinui Dame Te Atairangikaahu passed away. We have 40 biographies, 4 articles, related to Coronation of first Māori Queen.